In case you were wondering what that was all about, let me fill you in. Senate Majority Leader Harry Reid is quite concerned that cuts in federal spending will lead to a devastating bye-bye to the annual cowboy poetry festival in Nevada. No need to rub your eyes; you read it right the first time. Let’s face it, folks. Some people just don’t get it. They missed the message the emergence of the Tea Party delivered, they missed the message the November mid-term elections sent, and they have obviously missed the message that we are in enormous debt as a nation. Look, I’m an English Language Arts teacher and a poet myself. 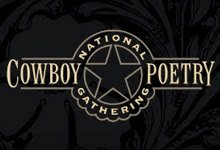 I appreciate rhythm and rhyme as much as the next person, but come on…the cowboy poetry festival?! Governor Palin always stands head and shoulders above the rest because she always calls a spade a spade–or a clown a clown. Haters complain she’s not playing nicely enough, or biting her tongue enough, or looking the other way enough–and thank God, they’re right. She’s not. We have enough so-called conservatives and 2012 GOP potentials doing that already. We need a leader–a real contender–who is willing to call out the clowns in Congress, someone with a proven record and a commitment to fiscal responsibility. We need Governor Palin.